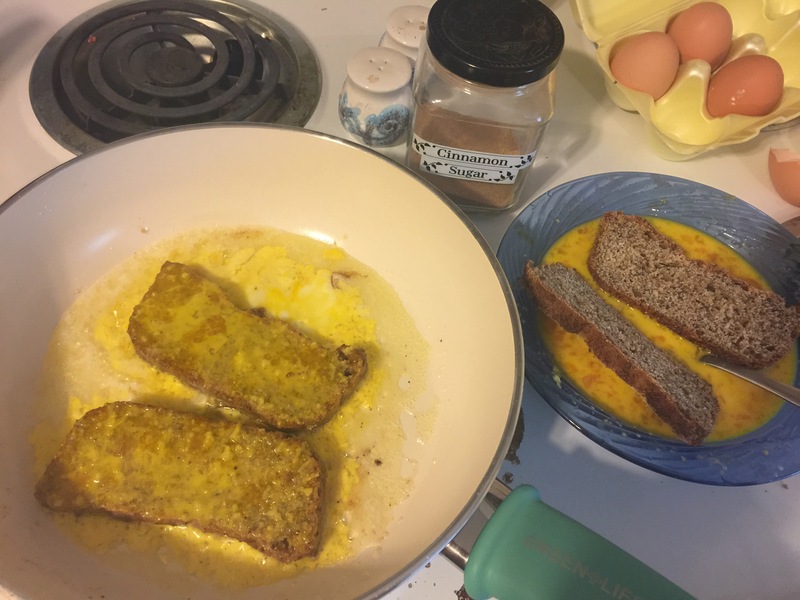 Lemon French toast is a breakfast favorite around here – it is light and fluffy and so flavorful that your mouth just can’t get enough! Here is my recipe from our table to yours! Any slices of bread: use any bread you please! Try out new things – pictured is our homemade buckwheat wheat white bread that didn’t rise – we usually use a cinnamon raisin for this that we buy from Beyond Bread Bakery from the local farmer’s market in Bandera, TX. 2 eggs – fresh are best! 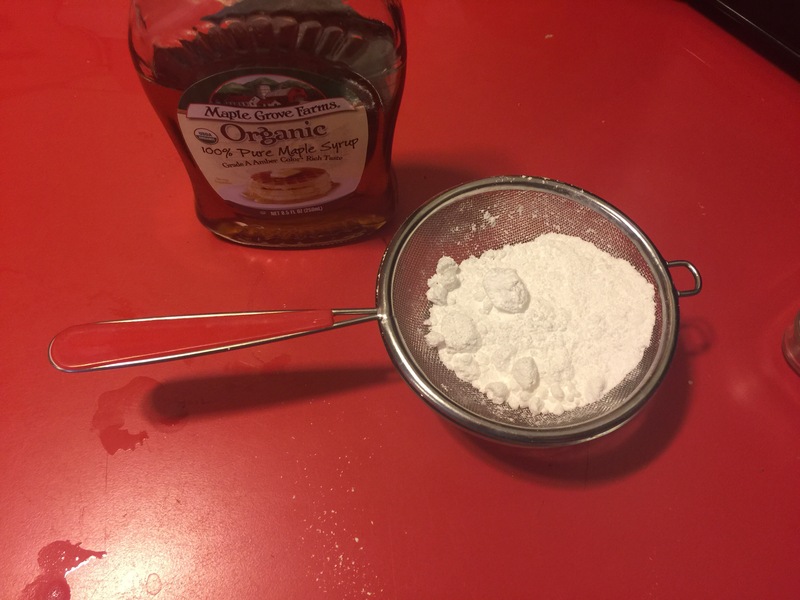 1/4 cup milk – fresh raw organic is best! Heat a skillet on medium heat and add 1 tbsp butter to the pan. Heat until butter is melted. While melting, mix eggs, milk, lemon zest, and lemon juice into a bowl. Once butter is melted and starting to turn brown, dip a slice of bread into bowl mixture on both sides and place into pan. Cook to desired doneness. Flip to other side and top with cinnamon sugar. Flip onto opposite side onto a plate and sprinkle with cinnamon sugar. Top with desired amount of butter. Continue to repeat process until done with the amount of pieces of bread of your choosing. If running out of egg mixture, make more. If having leftover egg mixture, add salt and pepper and make scrambled eggs! 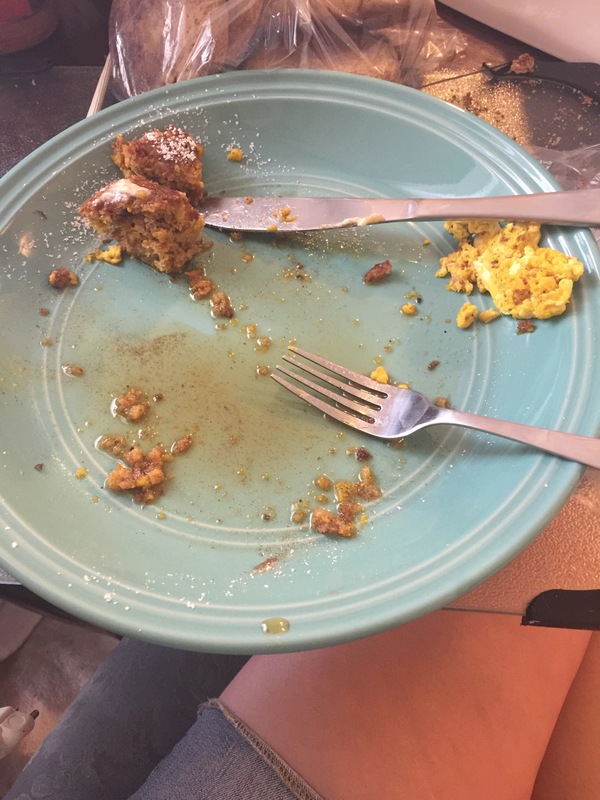 Once all finished, plate and sprinkle powdered sugar through a sieve onto your French toast. dd on toppings of choice including berries or syrup. Best served with bacon or sausage and a cold glass of milk! Yum! 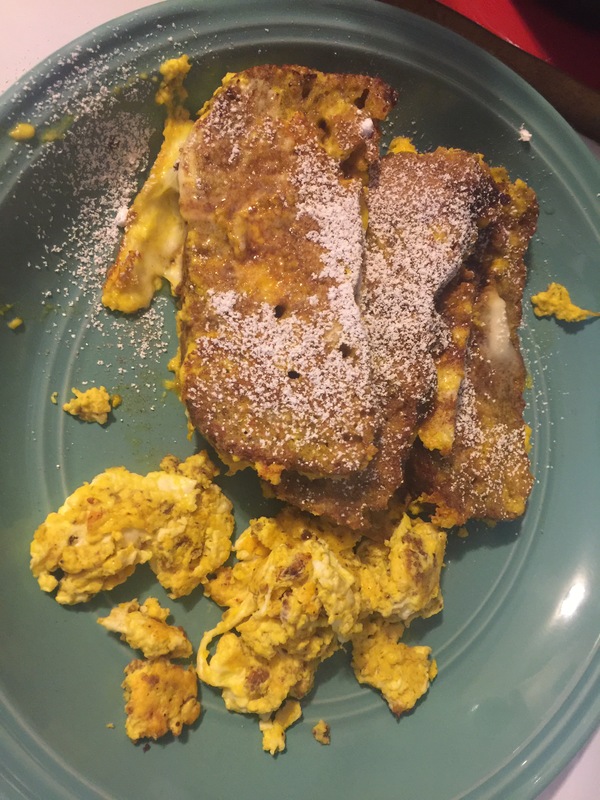 Posted on February 21, 2016 September 26, 2016 by MichellePosted in RecipesTagged breakfast, french toast, lemon french toast. Previous Previous post: What is a loofah?